Whether you are moving into, out of or within this desirable community inland from Newport Beach, having a team of Newport Coast movers on your side can make all the difference in a stress-free relocation. 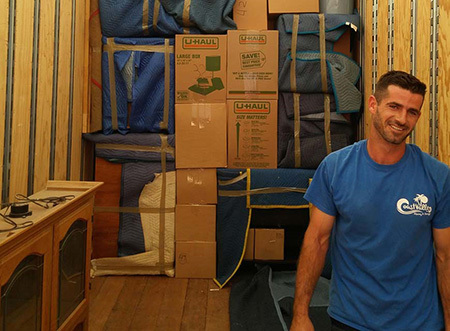 At Coast Valley Moving & Storage, Inc., we understand the unique challenges that come with local and interstate moving within this sought-after community. We offer a variety of moving and storage solutions to ease the process. Regardless of the size or scope of your move within the region, our experienced Newport Coast movers have the resources and expertise you can count on to meet your needs and exceed your expectations. With our A+ BBB rating and AMSA ProMover status, Coast Valley has a proven record of delivering exceptional service – and at a guaranteed price. Our professional Newport Coast moving company strives to customize our services to the unique needs of every customer—whether you are moving locally within Newport Coast’s gated communities, long distance from Orange County or clear across the country. Local Movers: Our experienced Newport Coast movers know the ins and outs of the area for a seamless moving process. Interstate Movers: Moving out of state is never a challenge when you’re working with the top interstate movers in Newport Coast. Since 1972, Coast Valley Moving has been the trusted name for Newport Coast movers, and we’re proud to be a long-term agent for prestigious Wheaton Worldwide Moving. As part of a global network of moving and storage professionals, our movers in Newport Coast can easily coordinate your long distance or interstate move with professionalism and courtesy. Will you need some extra time to get settled before your items arrive at your new home? Coast Valley Moving is here to help! Our innovative warehouse facility can keep your items secure for as long as needed, and we offer a climate-controlled environment and full-service security systems to ensure that your belonging are kept safe, dry, and undamaged. Planning a local or long distance move has never been easier when you have our premier Newport Coast moving company on your side! If you’d like to learn more about our services, just give us a call today. You can also fill out our online form to easily request your free, no-obligation estimate.